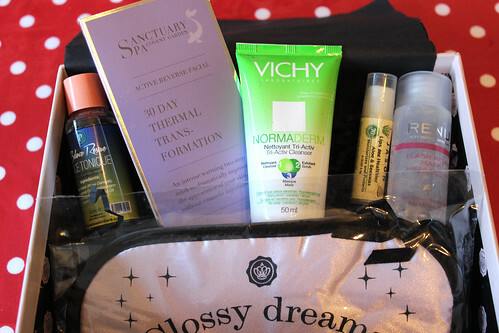 It’s that time again, time for another GlossyBox review! 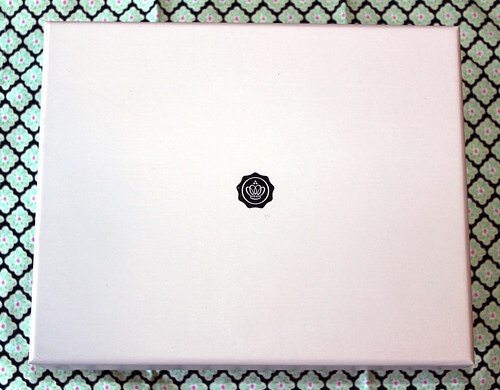 The boxes were dispatched yesterday, so I was really surprised to get mine through already – I usually end up getting mine last! 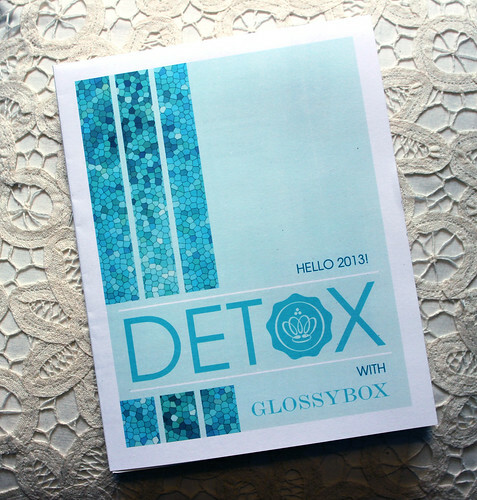 Not surprisingly, the theme for this month is ‘Detox’, and my box contains some great products to help me do just that! There are two face masks, a 3-in-1 cleanser which you can also use as an exfoliant and mask, a lip balm, face tonic, and a neat little eye mask too! Click on the pic above to be taken to Flickr, where you can view this image in a larger size if you want to read the text! Monu: Renu Flash Relax Mask. 100ml (£32). The size here is 30ml. This is a ‘detox’ mask with Ginseng, magnesium, and vitamins C and B5, to reduce fine lines and promote natural radiance. It’s paraben free, too. www.monushop.co.uk. Jason: Lips Bee Healthier. 4.6g is £1.99 – included in the pack. A therapeutic blend of beeswax, vitamin E, green tea extract, organic aloe vera gel, shea butter and almond oil to moisturise and condition lips in the harsh winter months. This is actually a lovely product that I’ve tested already – you can never have too many lip balms, in my opinion! www.jasonnaturalcare.co.uk. Sanctuary Spa: Active Reverse Thermal Transformation Mask. Full size is £27.50 for 50ml of ‘step 1’ and 75ml of ‘step 2’. The product included here is a sample sachet size for one application. Firstly, you smooth the peptide transformation serum over your cleansed face and neck. Then, you add the thermal rose clay mask layer, allow to heat up, then leave to cool naturally for around 15 minutes before removing with warm water. I remember using heated clay masks before as a kid, so I wonder whether this will be any different! www.sanctuary.com. 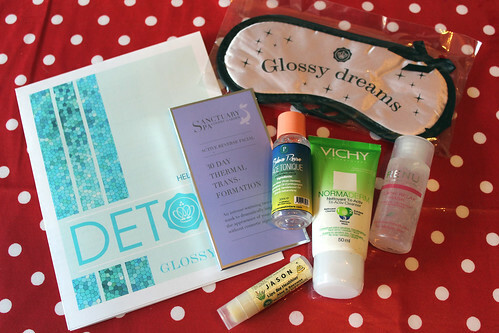 Head on over to www.glossybox.co.uk to find out more about these products, and the monthly samples box scheme! Lovely box! 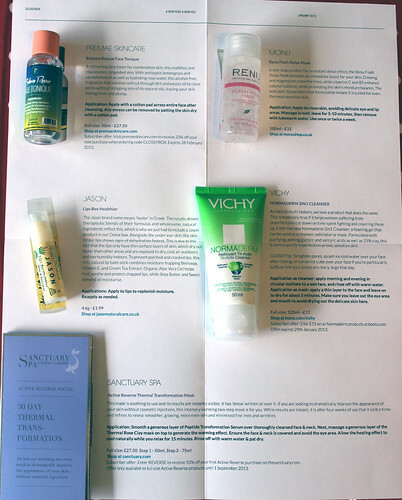 I think i’d like to try the Vichy: Normaderm 3in1 cleanser. Pls tell more when you had the chance to really use it.